Compressible gaskets keep air and water barriers continuous without liquid sealants or adhesive tapes. But they don’t all last equally well. In the U.S., we tend to put a lot of faith in caulks, tapes, and wet-applied sealants. But in Europe it’s a different story. Some Gaskets can be used in place of tapes or liquid sealants, mainly as part of residential air barrier systems. According to Lee Jaslow of Conservation Technologies, a leading U.S. distributor of high-performance gaskets, the market for gaskets in residential construction is small but growing, with increased interest due to high-performance rating systems such as Passive House. 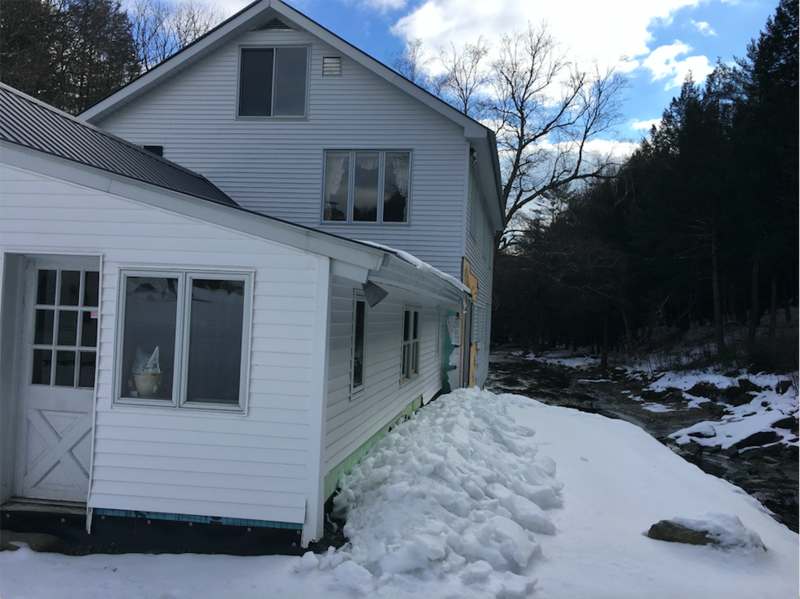 This Holst Architecture-designed Passive House project, Karuna House, includes gasketing on the sill plate—common in Northern Europe for decades but fairly new to the U.S. 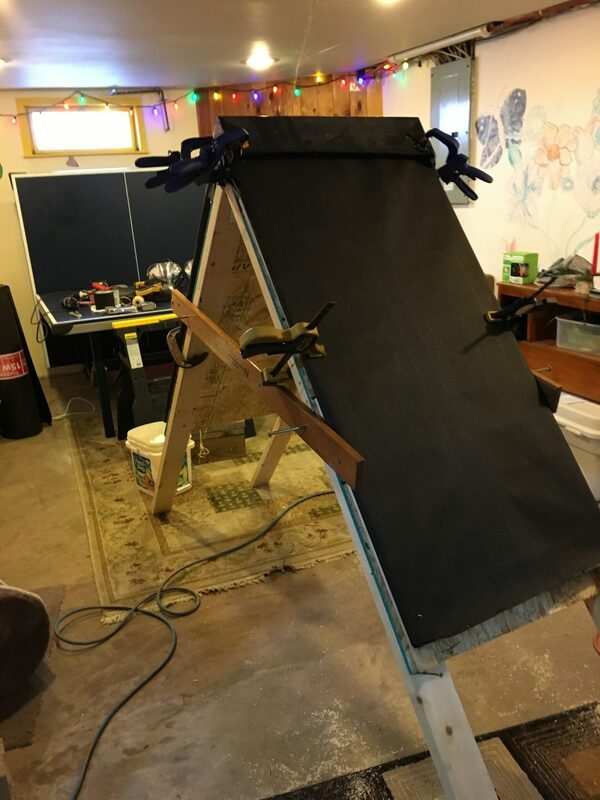 Structurally, there are two types: air-filled bulb and cellular foam gaskets. The former are usually referred to as weatherstripping; despite the many different profiles, the fin and the air bulb distinguish these types of gaskets. 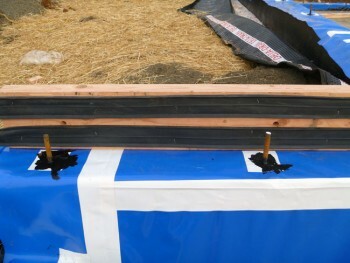 Cellular foam gaskets have tiny gas pockets throughout; these gaskets can be made from a variety of substances: PVC, Neoprene (polychloroprene), EPDM (ethylene propylene diene monomer), Santoprene (an Exxon Mobil proprietary cross between EPDM and polypropylene), and new-to-the-market silicone. The key to all gaskets is compression and memory; gaskets must maintain their flexibility through different levels of compressive loading over time to keep water and air in or out. In general, there is a fairly strong relationship among these characteristics of gaskets: cost, durability, and load. PVC gaskets are the least expensive and least durable and cannot be used with heavy loads, such as structural loading between floor and bottom plates. Neoprene gaskets represent a mid-level cost/durability/load option. EPDM and Santoprene are considered premium gaskets that are appropriate for structural loading, maintaining their memory over long periods of time. Cellular foam extruded silicone gaskets are relatively new to the construction market and represent another premium gasket option. In commercial building, gaskets have a special application in one of two methods to set glazing. “Wet glazing” is setting the exterior glazing using structural liquid sealants in a face-sealed system. The continuous beads of sealant are designed and installed to keep water out of the glazing set and system. 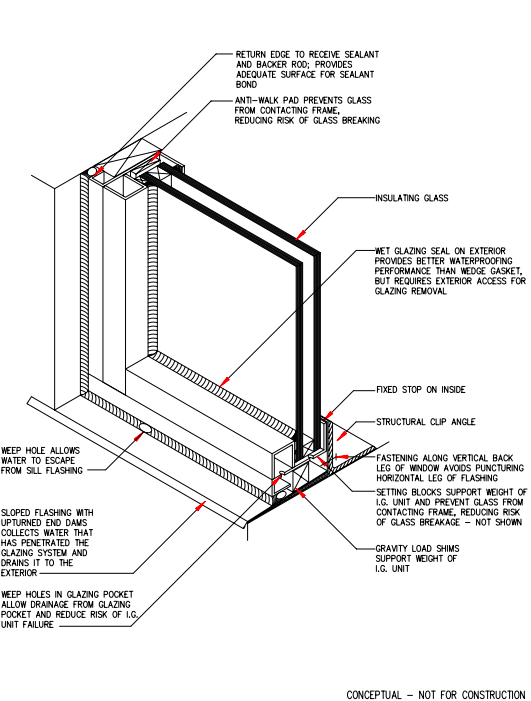 In a “dry glazing” set, gaskets accomplish the structural glazing set and are designed with drainage channels to move water off and out of the glazing installation. A conceptual “better glazing system” from the Whole Building Design Guide. But what about service life? It seems to boil down to experience. When I asked both Jaslow and Kumar how they evaluate the service life of gaskets, they emphasized experience over specific studies or standardized tests, mainly because there simply aren’t any for how long various gaskets last in the field. “We know that gaskets have been a key part of airtight homes in European countries such as Sweden for nearly 40 years,” says Jaslow. We know that each material can give initial continuity to our air and water barriers. What we still don’t know is which systems and specific types of products sustain their performance over time. We are moving toward predictive, standardized tests of field service life for liquid sealants. And efforts such as the Tremco Sustainable Building Solutions Test Facilityrepresent a huge step forward. But for the time being, keep your craftsmanship and quality control high, don’t skimp on spending for something just because it’s buried in the wall (skimp on the stuff that’s easier to replace, if you must!) and gather your own performance experience over time. 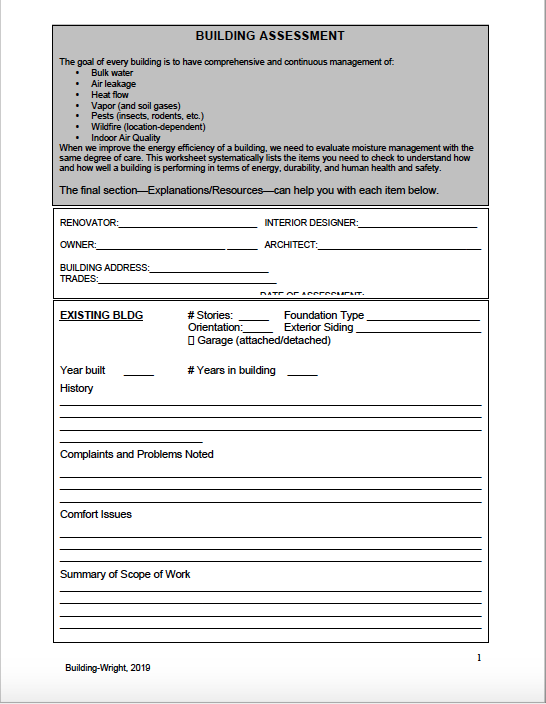 NextWhat is a hygrothermal building assessment, anyway?